I'm sure you already know who I am ... a kitty like me needs no introduction. Lady Priscilla is my title and I know my worth. At first I like to get a feel for someone's intentions, so I may hiss or growl, but if you stick around and give me enough time to make a judgement, you will see I am actually really sweet. I am particular about the way hands touch me -- my favorite is the top of my head, I love it! The more you are graced with my presence, the more you will learn about me and we will surely have a beautiful friendship. I know I am gorgeous, but I am ready to be loved for more than my looks, I know I have a lot to offer someone. When you arrive, just tell them Lady Priscilla is waiting. 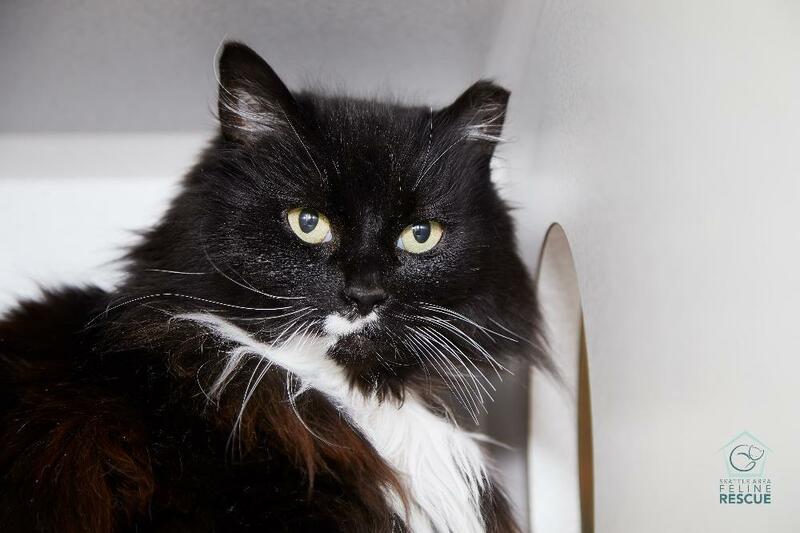 Priscilla is a 4-year-old cat waiting to find a family at Seattle Area Feline Rescue in Shoreline, 14717 Aurora Ave N.